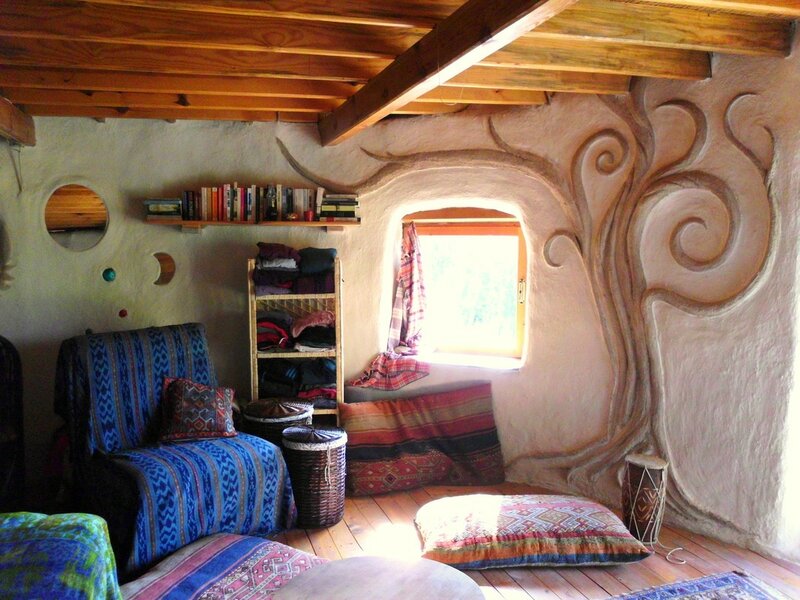 Natural clay or earth plaster is wonderful, but can be trickier than it looks. Lime Wash: How and Why to Make it. Earth plaster is beautiful. It has a warm, rustic texture that's soothing to the eye and pleasing to touch. I loved my grainy brown walls, and so did most other people, and I hummed and hawed about coating them in a lime wash. In the end I did. Why? 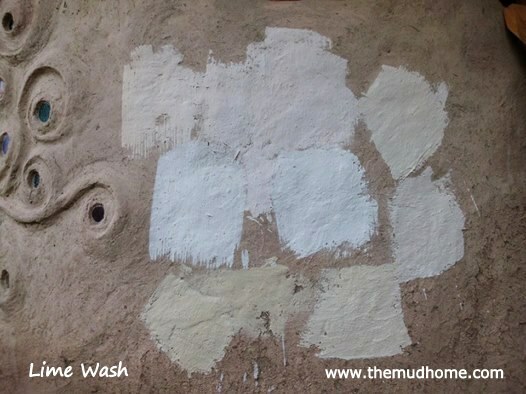 A lime wash is like the icing on your mud house cake. It holds the crumbs of sand on the wall, seals the plaster and keeps the bugs out. While I adored the rough mud texture of bare earth plaster, after a year I noticed issues. None of them were major. But here are the four reasons why I lime-washed. 1. Light. Earth plaster is rough and ready. It's the Hugh Jackman of the plaster world. But it has a dark side (don't they all). While I love cosy, warm caves, I also crave light. Earth plaster tends toward the dingy. 2. Dust. Without the lime wash, earth plaster alone creates an incredible amount of dust. I diligently swept my house every morning and never seemed to make significant inroads into the dust deposits. Window sills, door edges and alcoves were a devil to keep clean. 3. Insects. Lime is an insecticide, and I noticed as soon as I coated my walls in a lime wash that the amount of bugs in my home reduced drastically. 4. Repairing earth plaster is far more labour-intensive than simply whitewashing with lime. It requires another round of stomping of the mud, more mess in application and a longer drying time. No matter what you put on the walls, you need to maintain them. Lime is faster and easier for sure. Put a pint or two of lime putty in a bucket. Add casein (you can buy it as a powder or make your own from milk) or seasalt (about one part to 5 parts lime putty). Then slowly add water and stir (or whisk) until you've created a smooth, thinnish white paint. Note: You need the salt or casein to help seal the limewash, otherwise your whitewash remains dusty, and can leave marks on clothes. You can also add skimmed milk to the lime putty instead of casein powder to create an amazingly hard, protective finish. The casein in the milk reacts with the lime to form a strong, dust-free shell. I wanted to avoid the traditional whitewash look and hoped to create a more wheaty colour. We tried out various natural home-made colours including turmeric, cinnamon and tea. Strong Turkish tea seemed to work the best. You can of course also buy natural paints to add to your lime. Just note that lime always whitens as it dries, so your finished colour will be far paler. Do I regret liming? No, but it's a close call. Here's three reasons you perhaps wouldn't want to lime your walls. 1. No matter what you do, lime always tends to whiteness. Strong, vibrant colours are hard to create naturally. So if you want that, you'll need to buy some natural paints. Even so, expect a high level of fading. 2. Lime definitely doesn't emit the same warmth as earth plaster, though lime does create another type of magical atmosphere. And there are tricks for increasing the cosiness, things like leaving earth plaster skirting boards, earth plaster sculptures and alcoves. 3. As mentioned above, if you don't add enough casein, glue or salt, it can leave white dusty marks on your clothes or furniture. How eco-friendly is lime? Isn't it just as bad as concrete?